Vishal, son of local BJP worker Sanjay Rana, was one of the two men who had gone to the mosque and made the announcement about the whole beef story. A mob had killed Mohammad Akhlaq and brutally beat up his son Danish in September 2015. Allahabad: Vishal Rana, one of the main accused in the dreadful killing of Mohammad Akhlaq in Dadri by an angry mob over suspicion of slaughtering a cow and consuming its meat, was yesterday granted bail by the Allahabad High Court. Vishal had applied for bail in April. Ram Saran Nagar, his lawyer, says it will take a few days before he walks out of the jail. "The order has to come from the high court to the local jail. It will be verified and he will be allowed to go," he said. Eighteen accused were arrested and this is the 14th bail in the murder case. Ten of the accused are already out of jail. Last year, 22-year-old Ravi Sisodia aka Robin, another accused, died at a hospital in Delhi while in judicial custody. Twenty two-year-old Vishal, son of local BJP worker Sanjay Rana, and his cousin Shivam had led a furious mob to Akhlaq's house after an announcement at a temple in their village that he had allegedly slaughtered a cow and had beef stored in their refrigerator in September 2015. The family had just finished dinner when the mob comprising his neighbours and even friends barged in and dragged 52-year-old Akhlaq and his son Danish out of their house in September 2015. They attacked them with bricks and lathis. While Akhlaq died on the spot, Danish suffered serious injuries and had to undergo major life-saving surgeries. Akhlaq's daughter is the prime witness in the case. Danish's elder brother Sartaj is a corporal with Indian Air Force. The police had recovered meat from near Akhlaq's house, which was first declared to be mutton. Later, another forensic test at a Mathura laboratory said it was the meat of "cow or its progeny". 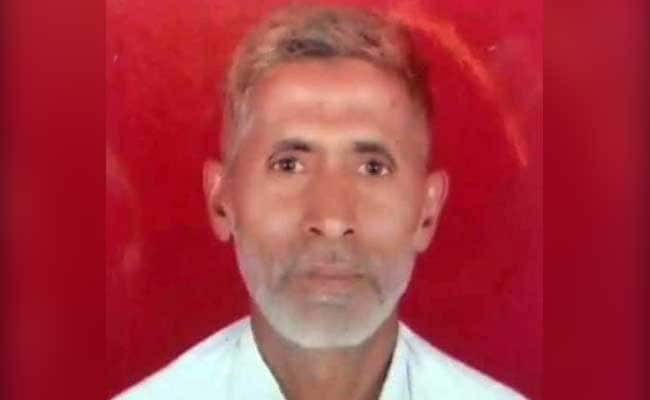 Following the second forensic report, a police case was filed against Akhlaq's family. In the petition, the villagers had alleged that Akhlaq and his brother were seen slaughtering the calf.